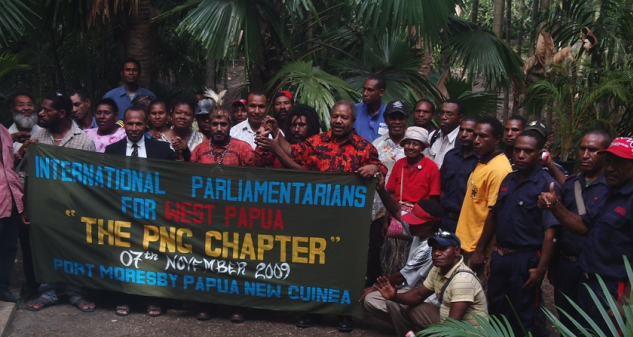 In 2008, Benny launched the International Parliamentarians for West Papua (IPWP) – a cross-party group of politicians drawn from around the world who support self-determination for the people of West Papua. IPWP was launched at the Houses of Parliament, London on 15th October 2008. Speakers at the launch included Hon. Andrew Smith MP (UK), Lord Harries (UK), Melinda Janki (International Human Rights Lawyer), Hon Lembik Opik MP (UK), Lord Avebury (UK), Hon. Carcasses Moana Kalosil MP (Vanuatu) and Carmel Budiarjo (TAPOL). 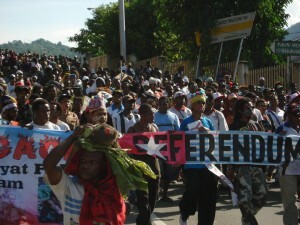 We the undersigned recognise the inalienable right of the indigenous people of West Papua to self-determination, which was violated in the 1969 “Act of Free Choice”, and call upon our governments through the United Nations to put in place arrangements for the free exercise of that right so that the indigenous people of West Papua can decide democratically their own future in accordance with international standard of human rights, the principles of international law and the Charter of the United Nations. 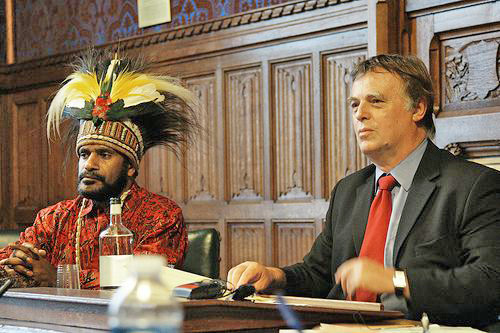 IPWP was set up by Benny Wenda and is chaired by the British Labour Party MP Andrew Smith and life peer Lord Harries. Some of the founding members of IPWP, were involved in a similar group that was set up for East Timor prior to it gaining independence from Indonesia. Andrew Smith is also the Chairman of the All Party Parliamentary Group for West Papua. This group meets regularly in the Houses of Parliament and is comprised of British politicians who have a special interest in the human rights of the West Papuan people. The group monitors the human rights situation in West Papua as well as investigating and documenting reports of the numerous human rights abuses being committed by the Indonesian military against West Papuan civilians. At the launch of IPWP in London, other areas that were discussed were ways of developing support amongst politicians from other countries, the possibility of sending a United Nations peacekeeping force to West Papua, and sending a delegation to West Papua on a fact finding mission. International Parliamentarians for West Papua has so far registered the support of politicians from countries including the United Kingdom, USA, New Zealand, Australia, Vanuatu, Czech Republic, Switzerland, Guyana, the Netherlands, Sweden and Papua New Guinea. International Parliamentarians for West Papua – Papua New Guinea Chapter launched on 7th November 2009, at the University of Papua New Guinea. The event was hosted by the Governor of the National Capital District, Powes Parkop MP, and deputy governor of Western Province Mr Buka Kondra MP. Benny Wenda flew in from the UK for the launch and also met with local and national politicians from the country as part of his lobbying work. There has since been a further launch in Papua New Guinea for the International Lawyers for West Papua (ILWP) arm, which is developing legal support to highlight the right of the West Papuan people to self-determination. Leader of the UK Green Party and former MEP for the South East, Caroline Lucas, played host to a group of politicians and human rights workers at a reception event night in the European Parliament to launch International Parliamentarians for West Papua. Exiled West Papuan musicians from the Netherlands performed a traditional mourning cry to open proceedings, and there were speeches by Caroline Lucas and Benny Wenda. Melinda Janki, international human rights lawyer, gave a presentation explaining West Papua’s right to self-determination under international law and asking the European Parliament to uphold the international rule of law. Following the launch Benny Wenda and Melinda Janki were invited to meet various officials with responsibility for human rights in the European Parliament. 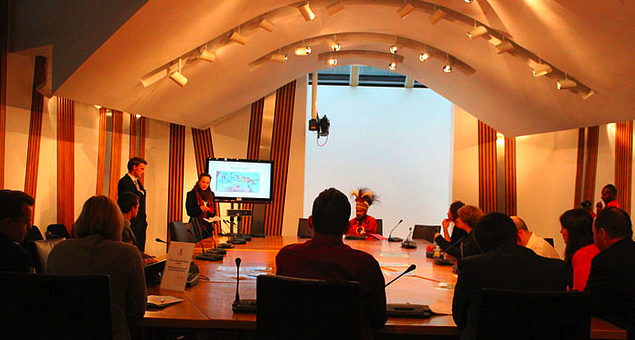 A group of MSPs from the Scottish Parliament hosted a launch event for International Parliamentarians for West Papua in September 2010. 5 MSPs from the Scottish National Party attended and others have since expressed support and signed the West Papua declaration and written letters to the Indonesian Ambassador in London.